Why should we remember the reign of Charles V? What happened in those years that altered the course of history and helped to shape the world we live in today? Few ages have been more important to the history of Europe and America than the reign of Charles V. Charles ruled the first truly global empire, his sovereignty extending beyond Spain to the Netherlands, much of Italy, the Americas, and the Holy Roman Empire. His life saw the waning of the Renaissance, the religious transformation of Europe by the Protestant and Catholic Reformations, and the emergence of Spain as a leading international power. At the same time, the conquests of Mexico and Peru, the establishment of a Habsburh empirein eastern Europe, and a series of wars with France, the Ottoman Empire and the German Protestants transformed European politics and the global economy. 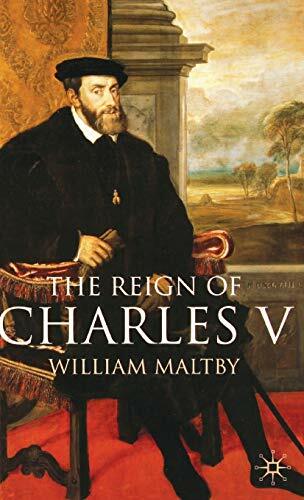 William Maltby's engaging new study not only looks at Charles V as a person, but also examines important critical issues: the emperor's policies and their consequences; the institional, economic and intellectual development of his various realms; and his military and diplomatic struggles. Concise and readable, it provides students and the general reader with an indispensable introduction to a reign that defies historical comparison, and an era that changed the world.